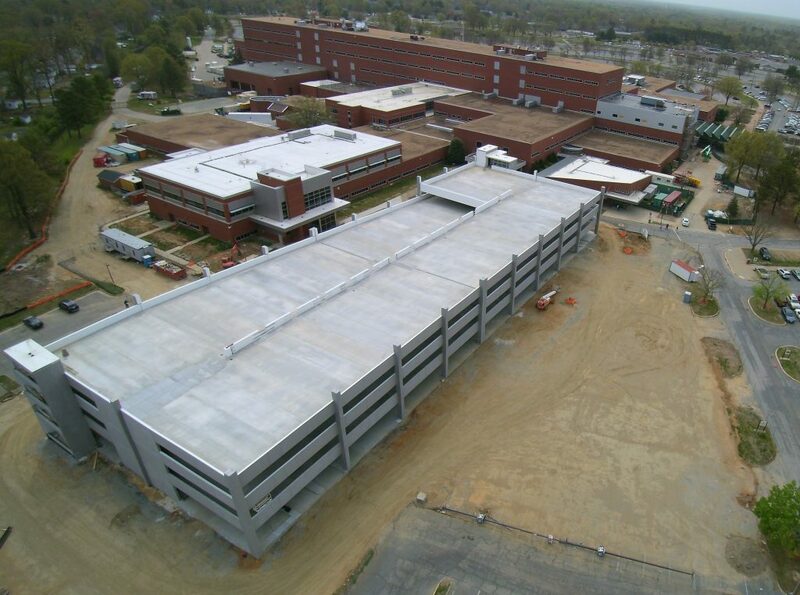 Scope of work: construct a two bay, four level new parking garage. The structure provides 501 parking spaces and 164,000 square feet with two stair towers and an elevator. 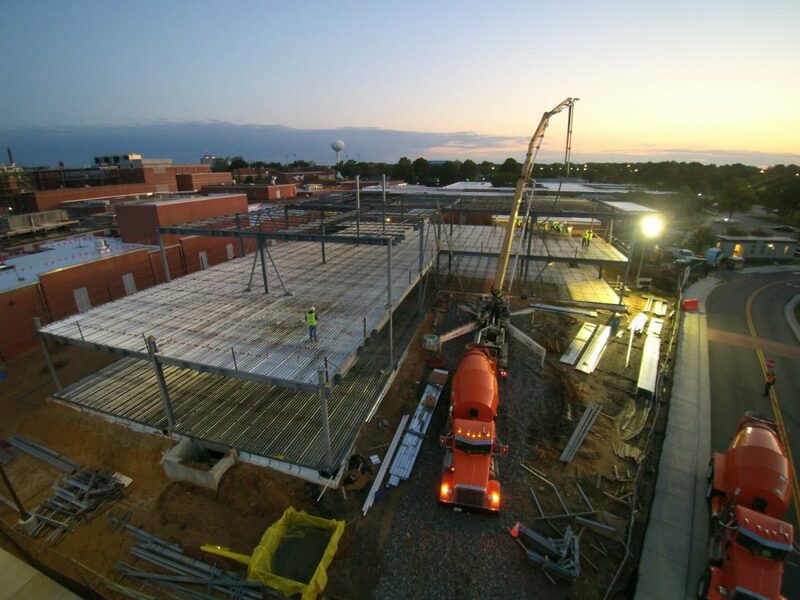 Work includes sitework, parking lot demolition, and utilities; auger piles; concrete foundations; precast concrete components; and all associated plumbing, HVAC, and electrical work. Due to vicinity near the Emergency Room and Primary Care Building, project must be constructed to allow full access to these facilities. . Scope of work: Provide structural steel for the renovation of the concourse and terminal renovations. Provide on-site general labor in both the secure and unsecure areas of the project. 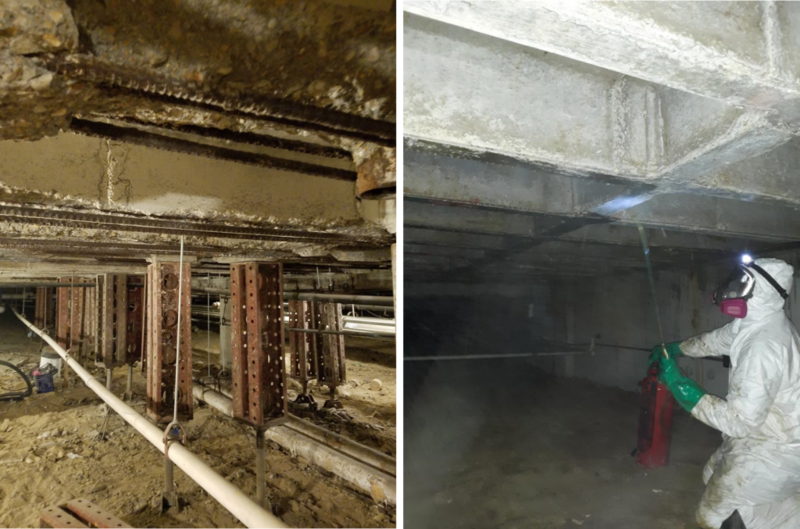 Scope of work: Structural repairs to five different building structures. Building 66 work includes installing 50 deep helical piles under the footings of the existing building. 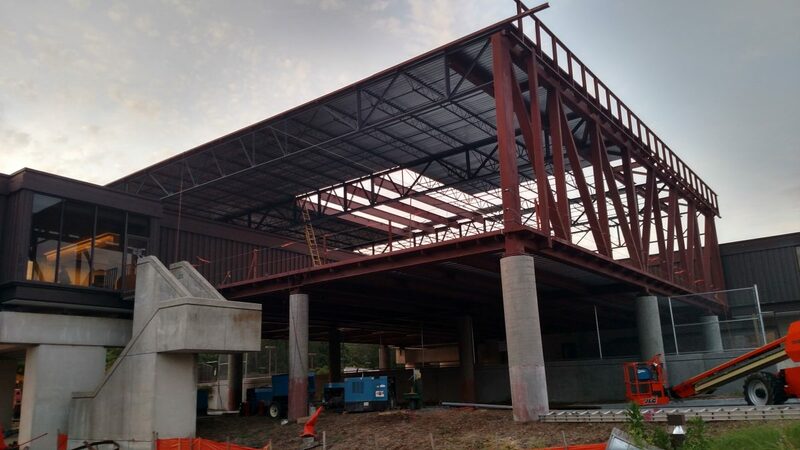 Building 71 work includes asbestos abatement, demolition of and installation of all wood girders and joists, floor and subfloor, ceilings, wall partitions, and associated electrical, plumbing, mechanical, and fire protection systems. Building 110 work includes installing helical ties and control joints to reattach and resecure the brick veneer to the building. 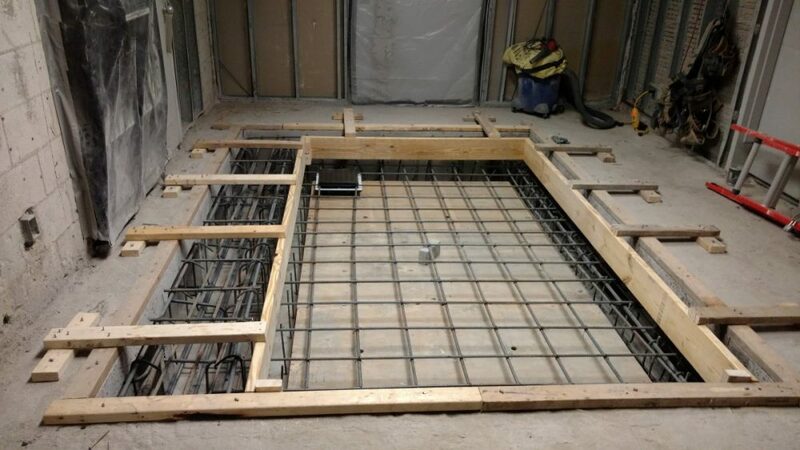 Building 137 work includes demolition of existing floor and concrete, and pouring of new concrete leveling slab. Building 52 work includes providing new underground data raceways and data drops in all offices.